The next big game in the Call of Duty franchise – Call of Duty: Ghosts – has leaked, over six months before it is due to go on sale. One of the biggest gaming franchises the planet has ever seen, Call of Duty games are met with the same kind of anticipation as a high end smartphone release, and with good reason. A veritable cash cow for everyone involved, Call of Duty games rival some of the biggest movie franchises that Hollywood has managed to produce. It’s for that reason that we’re surprised that the next Call of Duty game has been leaked, with two retailers, one either side of the pond, responsible for letting the cat out of the bag. 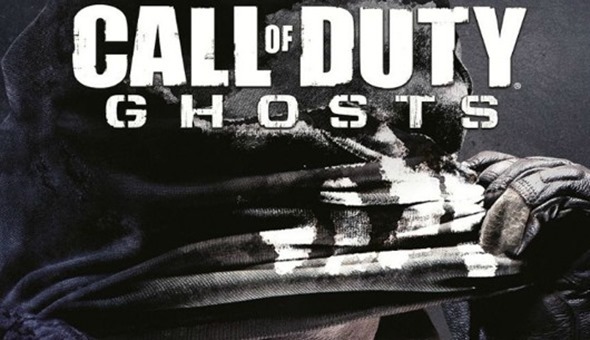 First off, UK supermarket and electronics retailer Tesco added a new game to its listing pages, with Call of Duty: Ghosts cropping up with box art for both the Xbox 360 and PlayStation 3. The release date of December 2013 is likely a placeholder, as Call of Duty games usually land further away from Christmas than that. 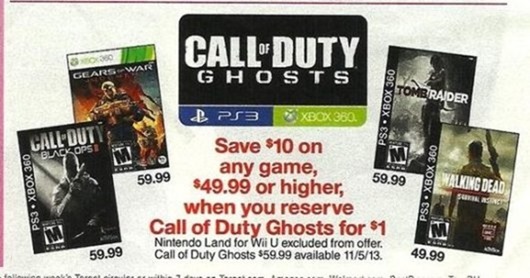 Meanwhile, at Target in the United States, the unannounced Call of Duty game was getting its own leak stateside, with the company having an advert leak. Pushing the Nintendo Wii, the ad also features some Xbox 360 and PlayStation 3 games, with Call of Duty: Ghosts listed for pre-order. Here, there’s a more realistic release date of November 5th, which seems much more likely to us. The news that Activision is going to release a new Call of Duty game this year should come as no surprise to anyone. We’ve had new games from the franchise every year-end, like clockwork, for what feels like forever. The fact that Activision is continuing its method of wringing every last penny out of its blockbuster franchise is about as predictable as it getting dark tomorrow night. It’s just a given! Beyond what’s been leaked today, we don’t know much about Ghosts, but we’re fairly sure even at this early stage that it’ll make more money than anything to ever come before it, and people will queue outside their local retailer at God forsaken times to get their hands on it. And we’re not sure we’d blame them , either!